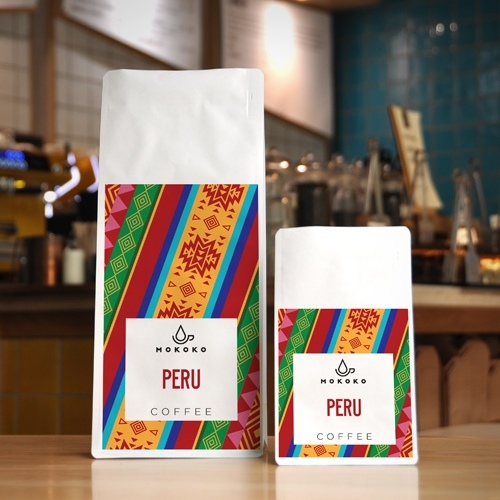 What we think: One of the best examples of Peruvian coffee, subtle grapefruit acidity and tea notes as a black coffee. A perfect filter coffee for those who enjoy their coffee with heavy body and great aftertaste. About this coffee: La Palma gets its name from the closest town to the 10 smallhold farmers that make up this lot of coffee. The farmers are all members of Santuario (Asociación De Productores Cafetaleros El Santuario) and produce around 6 bags of coffee each per year. All the farms measure around 1.5 hectares, which is typical of the Cajamarca region of Peru and produce all their own food. In fact, for most of the farmers in Santuario, their main form of financial support is from selling coffee. Santuario is focused on helping these farms improve the yield and quality of their coffee by introducing coffee varieties with higher yields, like Caturra. The association helps farmers reduce the risks of leaf rust and other diseases that are common in the Cajamarca region. This coffee has a creamy body and delicate grapefruit acidity. Select the grind type and weight below for the coffee you would like to purchase. Purchase any three 250g coffees to receive a 20% discount at checkout.